Disney is expanding it's retail empire by creating shop-within-a-shop across india. 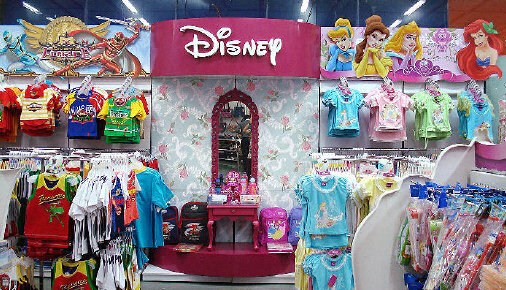 Disney has teamed up with major retail chains such as Big Bazaar to sell their licensed goods. The top selling franchise is Mickey and Minnie Mouse. Products include pencil erasers, rugs, rain-ware, watches and personal computers. Disney grants licenses to companies to use Disney's brands on their products. Sterling Publishing has been selected to launch a range of storybooks, colouring and activity books.